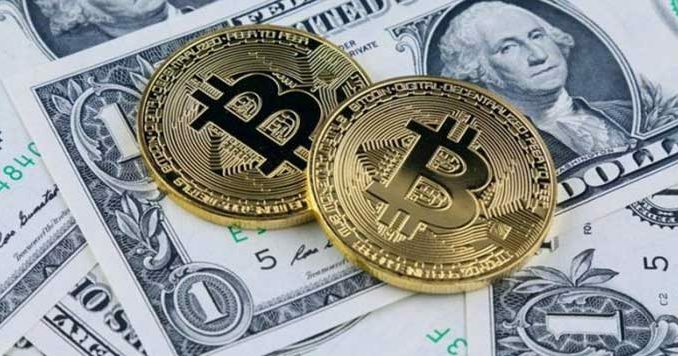 Looking at four days in March using a software program specially developed for the task, Bitwise concluded that of the $6 billion reported daily volume on market-leading data site coinmarketcap.com, only a tiny fraction was in fact real – $273 million. Other suspicious patterns concerned the spreads between buy and sell prices, which tended to be much wider on unregulated exchanges, in some case as much as $300 – that can be taken to be an indication of the low liquidity and high volatility. Bitwise’s report showed that across the days it studied, CoinBene reported daily volume of $480 million compared to $27 million on Coinbase, the popular US exchange. CoinBene has not responded. Dishonest volume reporting – what about manipulation? Instead of reporting the Bitwise research in doom-laden tones as CNBC, MarketWatch and Barron’s have done, it should be greeted as a welcome sign that at least some in the industry are capable of a serious attempt at self-regulation, or are at least willing to call out those who are happy to take traders (and listees) for a ride. Go over to data site cryptocompare.com and take a look at the daily trading volume for BTC – it is $1.17 billion at the time of writing. On coinmarketcap it is supposedly $8 billion. On one level the headline figure doesn’t matter so much and it’s the percentage change that should be watched. Maybe, but for a serious asset class having such widely varying data points for the same markets shows the problem faced by regulators, and those seeking approval for crypto ETFs. And traders might want to do likewise and start shunning the exchanges that are making things up. If you can’t trust them not to wash trade on their own exchanges it is probably not a very good idea to trust them with your money. Bitwise has done the SEC and CFTC a favour. If they hadn’t already come to the conclusion themselves – namely to exclude all exchange data and take prices only from regulated exchanges – then hopefully Bitwise has helped them to see a clearer way forward to approving an ETF. The regulators should take the Bitwise approach as a model – base prices only on those that prevail on regulated exchanges. And come on coinmarketcap – start making an effort to report more accurate data. Why not ask exchanges to explain the strange trading patterns picked up by Bitwise’s software? CBOE bitcoin futures, however, rely on just one exchange, using Gemini’s daily auction price, which some would say is inferior to the CME’s composite data approach. CME published all the research that went into its selection of exchanges for price data while CBOE’s has divulged no published research. But the main reason we shouldn’t take CBOE shuttering its product too seriously is because it is cash-settled (as is the CME’s) so it doesn’t in fact impact the price of bitcoin because the contract is not delivered with bitcoin.